What's The History Of Vermont's 'Witch Windows'? What's the story behind those angled upstairs windows on some Vermont farmhouses? You might have seen this architectural oddity on an old Vermont farmhouse, even if you didn’t know what to call it. It’s one of those upstairs windows that’s set on a diagonal. Or, as State Architectural Historian Devin Colman explains it, "It’s the crooked window tucked up under the eaves in the gable end — and it’s just tucked in there at a crazy angle." A lot of Vermonters call them "witch windows." But why? Where does that name come from, and why are these windows installed in the first place? 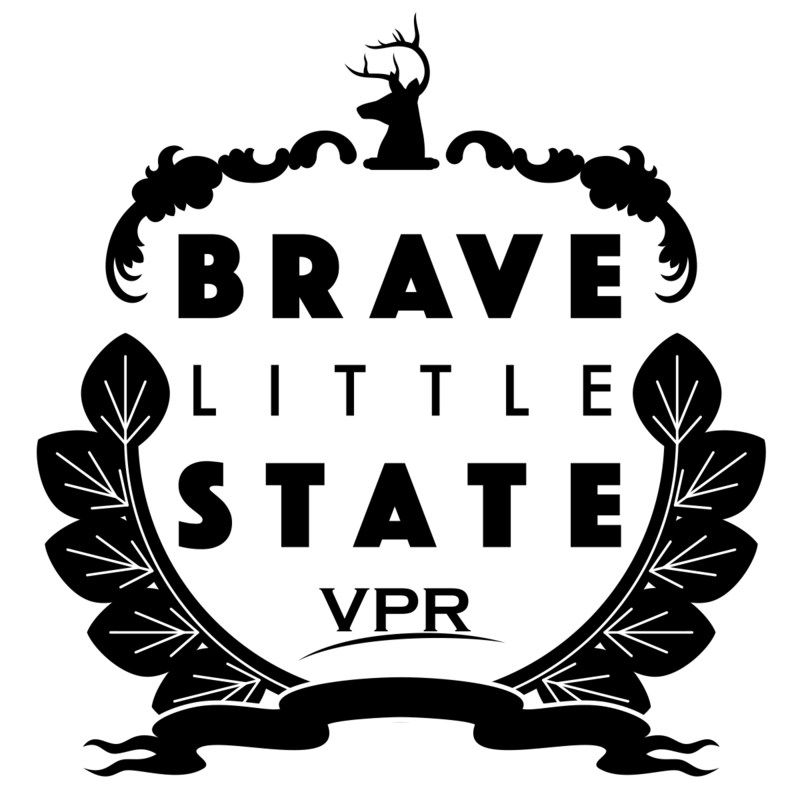 This is what Aaron Troncoso, of Burlington, was wondering when he posed a question to Brave Little State, VPR's people-powered journalism podcast. It's just one of the questions that Brave Little State took on in its recent episode: Your Vermont History Fix, From Gold Mines To Witch Windows. Devin Colman, who works for Vermont’s Division for Historic Preservation, says there’s superstitious lore behind the name, "witch window." "The story is that a witch on a broomstick can’t fly through a crooked window opening, which I guess physically is true," says Colman. "But, it’s the only crooked window in the whole house. And if I were a witch, I would just use one of the other vertical windows," he adds with a laugh. And Colman says there’s another theory that doesn’t quite add up. "You’ll also hear them referred to as coffin windows," he says. "The idea being that it’s difficult to maneuver a coffin with a body from the second floor down to the first floor in these narrow staircases, so slide it out through the window and down the roof — which does not seem any easier. And, if you think about it, you wouldn’t carry a coffin upstairs to put a body in it. You would bring the body downstairs and put it in the coffin on the first floor. So, I don’t think that holds a lot of truth there." Britta Tonn is an architectural historian in the Burlington area, and she's skeptical about that origin story, too. But she's willing to concede it might be "another convenient use of the window once it was developed." "I think they’re just a really great piece of vernacular Vermont architecture that really kind of points to how unique Vermont is and how resourceful farmers were," says Tonn. Colman says the real origin of the witch window is probably much less interesting: "My interpretation as an architectural historian is that it’s simply a really practical New England response to the need to get daylight and fresh air into a second-story room." You'll often see a witch window above a one-story addition to an old farmhouse. "And typically, if you’re adding on a wing to a house, you’re covering up windows," Colman explains. "So you’ll have an extra window sitting around, and why not just angle it and tuck it in that little section of wall space?" In a word, Colman says: "Frugality." As to why the windows are only found in Vermont — well, they aren’t. "It’s not specific to Vermont," says Colman. "I think it’s more prevalent, but you do find them in rural areas in New Hampshire and Maine and other parts of New England." In other places, they’re simply referred to as crooked, or angled, windows. That being said, both Devin Colman and Britta Tonn agree that highest concentration of witch windows is in 19th-century farmhouses in north-central Vermont. And Colman says we might be the only ones to call them “witch windows” — and tell those stories associated with the name. "It seems like the 'witch window,' and that explanation, might be unique to Vermont," he says. "Because none of my colleagues in other states had ever heard that, and thought it was an interesting theory." "Someone, a tourist, will be driving by and ask the local, ‘Hey, why does that window look so funny in that house?’ And the local will say, ‘Which window?’ And the tourist says, “Ok, great, thanks.’ And they drive off." Or perhaps the crooked window just doesn't know which way to go. A team of archeologists is conducting a dig at one of the most remote farms in Vermont this summer. The South Champlain Historical Ecology Project is digging in West Haven for the second summer, and its early findings include some objects that may date back almost 11,000 years.